While there are a million other things I should be working on right now, I received the second wave of Hasbro’s Iron Man 3 Marvel Legends figures today. 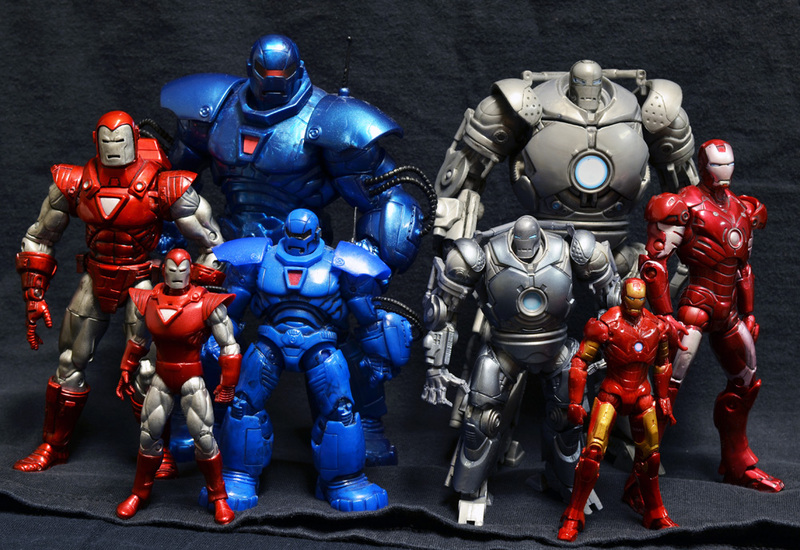 With the comic Iron Monger Build-A-Figure complete, I could not help but dig into the archives and take some comparison photos of Hasbro’s efforts to recreate the classic match up. All that’s missing are the Hot Toys figures, but that would not really be comparing apples to apples. I do wish Diamond Toys had been on the Iron Man train for the first movie, because I would really be curious to see what horribly flawed but gorgeously detained renditions they could have come up with. I’ll probably end up reviewing the entire Marvel Legends wave for CollectionDX because it is a weird wave split between some mediocre repaints and some incredible new molds, but I’m moving soon so that will have to wait. For now, enjoy some family photos. Last night I sat down with Atom from CollectionDX to talk about the development of Prometheus Rising Heavy Industries, the Rise of the Robots show at FOE Gallery, and how I got started at CollectionDX. We talk about how I decided to start making my own original toys, my initial adventures with Shapeways, and a little bit about the UP! Mini 3D printer that allowed me to get serious. If you guys like what you see, or have any specific questions for me about the toys, video, or printing, leave a comment here, on Youtube, or hit me up on Twitter. If you are a CollectionDX reader and want to see more videos like this with other members of the staff or toy community at large, make sure to let them know! Help me thank Adam and CollectionDX by liking the show and checking out their other episodes. I’m even in one. Once you’re done with all that, make sure you’ve got all the details about the Rise of the Robots show where Prometheus Rising Heavy Industries will be debuting, and keep an eye out after this weekend for coverage of the show! Then, it’s on to some production releases! 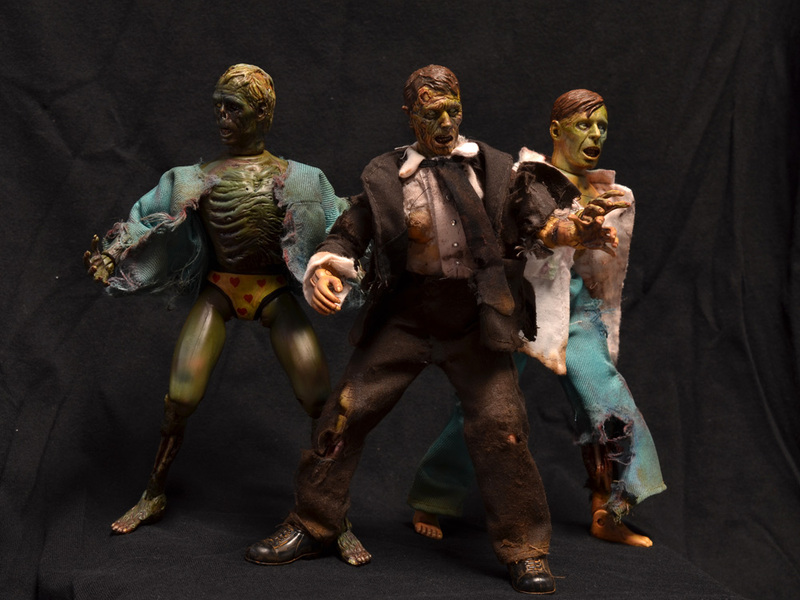 I was sent EMCE Toys’ DIY Mego style zombie kit by CollectionDX to review. The review is long, informative, and full of pics, so you should go read it at CollectionDX! These higher-res shots give you an idea of the results. When I posted the finished shots of my Master Grade RX-78-2 Gundam painted with Monster Kolor, Matt Walker aka Dead Pre$idents asked me if he could display it at the booth he was sharing with Max Toy Co at Winter Wonder Festival in Japan. 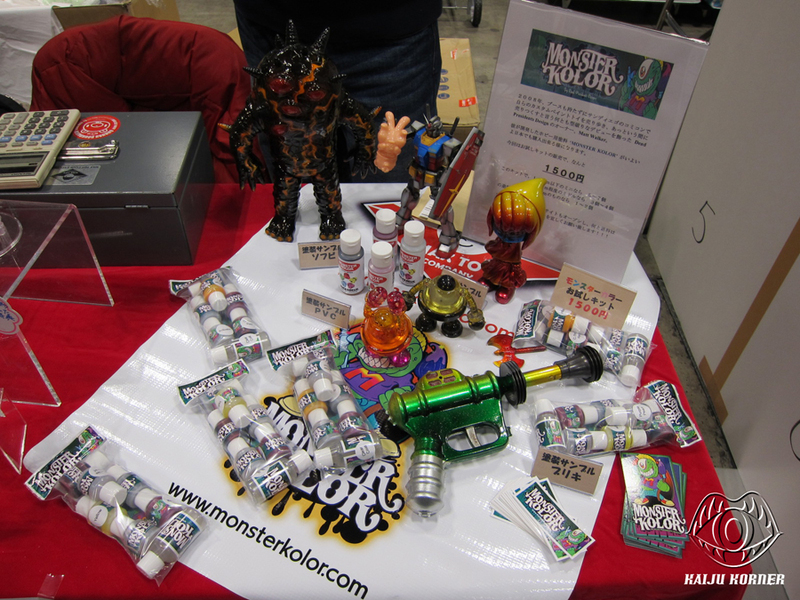 Monster Kolor paint has been a huge success for Matt, and he is always looking for demonstrations of its use in new and creative ways. My MK on plastic Gundam model fit the bill, and was shipped off to Japan for display at the show. 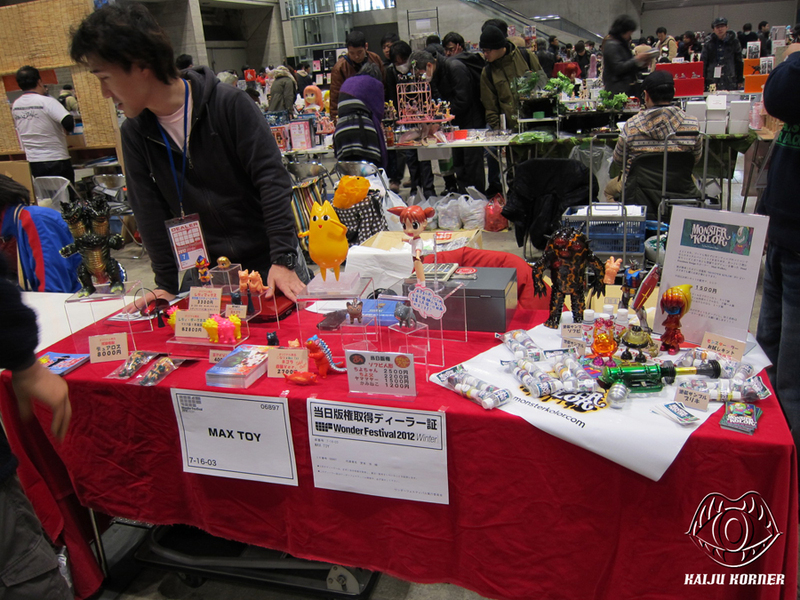 These pics of the booth come courtesy of Kaiju Korner Andy, who has been providing the best English-language coverage of Japanese shows and festivals out there for a couple of years now. Go check out the rest of his extensive WonderFest coverage here. He took a gazillion photos, and there’s more still to be posted. Here’s a shot of the whole Max Toy Co and Friends booth! My Gundam was in good company. I think it’s giving Max Toy Co’s new micro Kaiju Negora sculpt a bit of a shakedown! 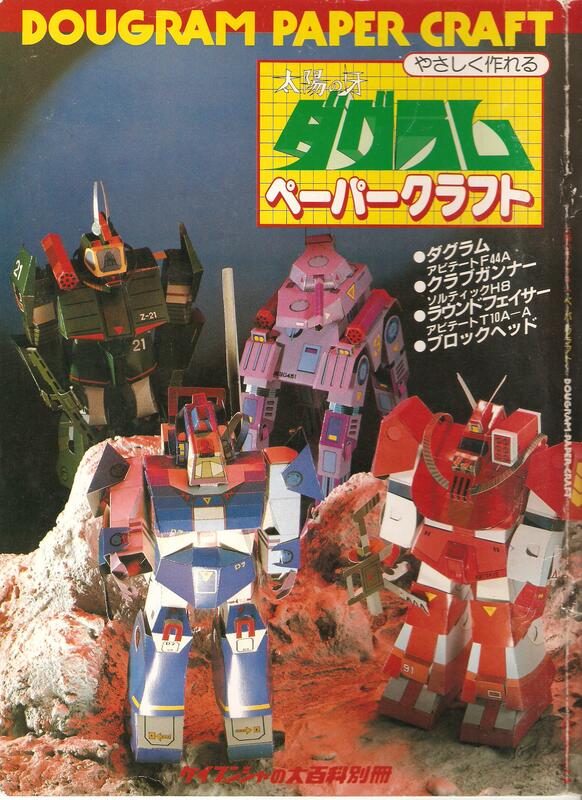 Someone asked if I could post the scans of the vintage Dougram papercraft kits, which were originally posted by Dougram fanatic machinesoldier over on ToyboxDX. He gave me the OK, so here they are. Obviously these are used without permission, but I don’t think they’ll mind. Just a little something goofy I put together tonight. 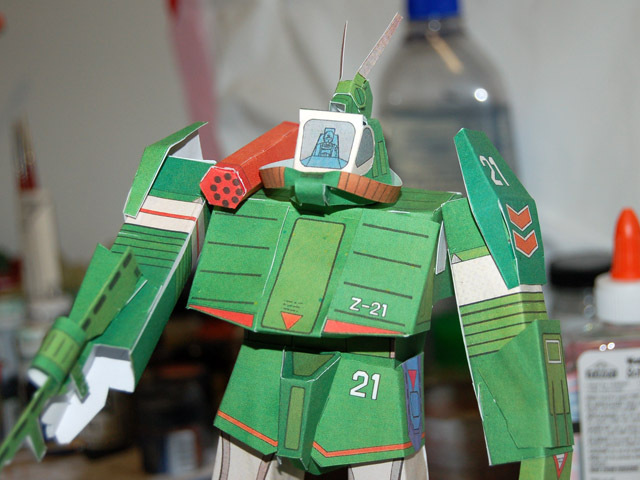 I’ve had scans of an old vintage Dougram paper model kit book forever, and I finally decided to print them out and put them together. The first up was the Soltic Roundfacer. It is rather primitive by today’s standards, but you have to give the designers credit for trying. The other figures in the book are the Dougram, Blockhead, and Crab Gunner, and I will be trying them out soon. Welcome to Prometheus Rising Studios, the home of Ben Mininberg, aka Prometheum5’s custom made toys, painted models, and other various works. Here you’ll find the latest on my homegrown, original mecha toys, as well as replacement and upgrade parts for vintage toys. I produce most of my work using 3D printing, both done at home on Afinia printers, as well as through Shapeways. 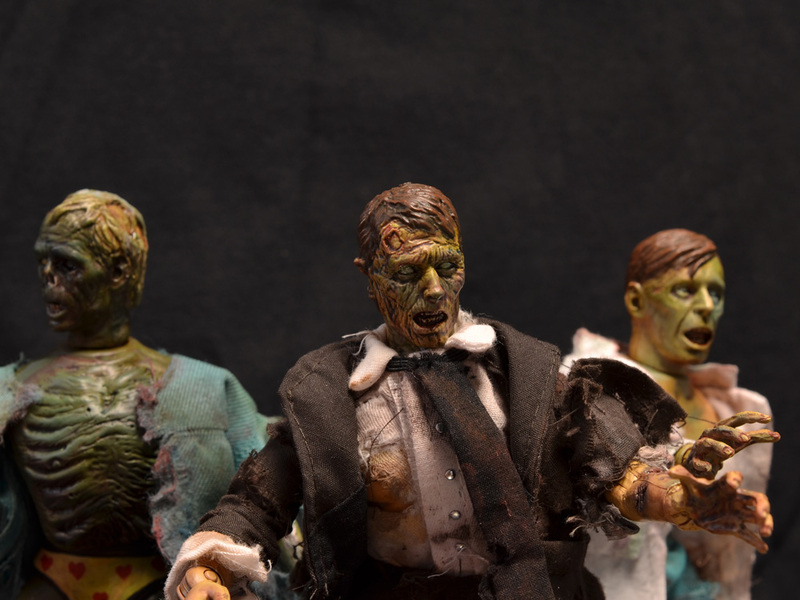 You can purchase a whole assortment of fun things right now from the Promethus Rising Heavy Industries Shapeways Shop, or head to the PRHI Monster Kolor Shop for original figures and custom painted toys. I also use this space to display some of my other works, including toy restorations, model kit builds, and miniature paint jobs. Drop me a line using the Contact Me link or leave a comment with questions. I am always happy to help out a fellow hobbyist, and one of my goals with this site is to make 3D printing accessible by demonstrating what can be done with a little ingenuity and a lot of creativity! For more info about Prometheus Rising Heavy Industries and my 3D printing efforts, click this post to check out this interview I did with CollectionDX!